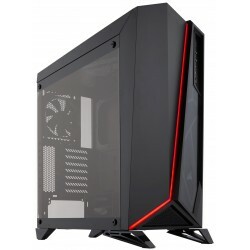 The Corsair Carbide 100R has the versatility that gamers are looking for along with an elegant modern finish on the exterior and tool-free access to the interior and for the gamers who like to show off, a flush-mounted window to admire the interior components. 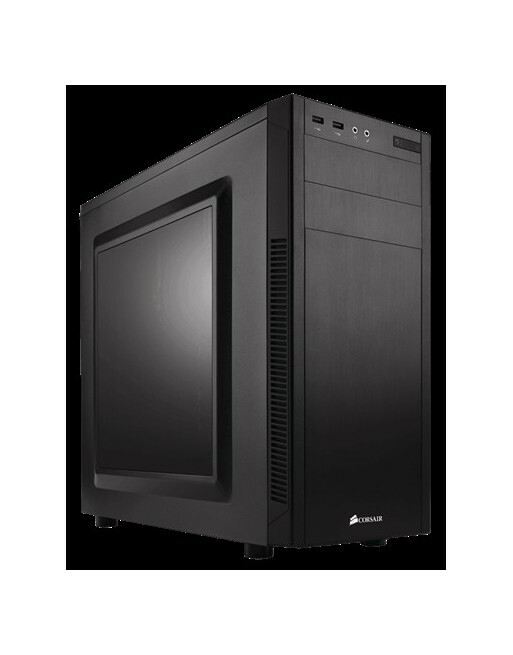 The Corsair Carbide 100R is built for both home-and office use: for gamers it looks simple and stealthy whilst for office it looks professional, simple and elegant with a clean mesh-free front panel finish thats easily customizable in any situation. 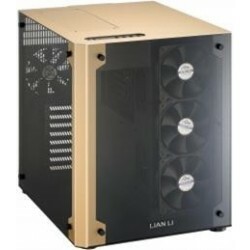 Along with the 100R's 5 interior fan mounts that allows the user to customise to their hearts content, the 100R also includes 1 x 120mm fan to help the building process. The Corsair Carbide 100R has simple tool-free 3.5" and 5.25" drive bays for installation as well as support for solid-state drives so the user can easily mix-and match to fit their personal needs accordingly. On the outside dual USB 3.0 front panelports give the user quick and easy access to the latest high-speed portable HDDs-and flash drives. The expansive and sturdy side tempered glass panel allows for an unimpeded view of SPEC-04’s roomy interior. The tòu 2.0 is based on geometric concepts, so users can build in a more dimensional structure. 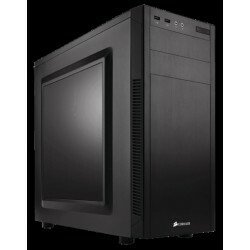 The CORSAIR Crystal Series 570X RGB Mirror Black is a premium mid-tower PC case enclosed in four panels of immaculate mirrored tempered glass, putting every component of your build on display. D-Shield is perfect for gamers looking for a small gaming PC but still want full-compatibility w/an ATX motherboard. Compatible w/VGA card upto 350mm in length. Drawn-wire finishing technique gives D-Shield a unique sleek appearance.